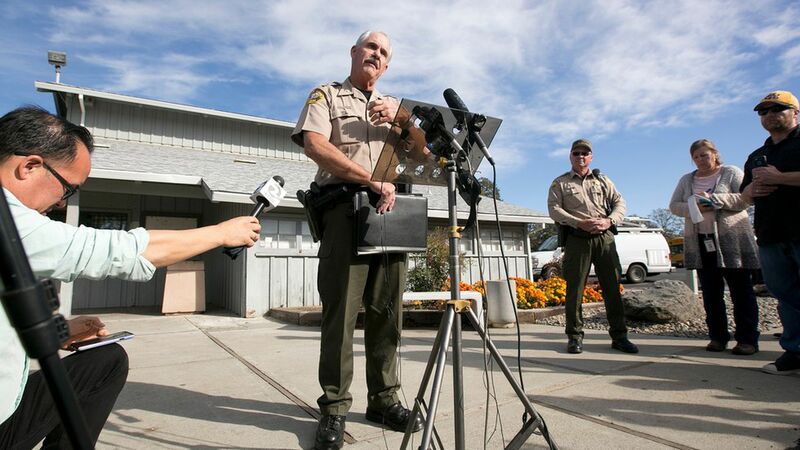 The AP reports that the California gunman, Kevin Janson Neal, who killed five yesterday and injured 10, including two children, wasn't supposed to have access to firearms as part of a restraining order. The backdrop: The Sutherland Springs shooter also wasn't supposed to have access to guns after being convicted of domestic abuse. Neal's wife was found dead inside their home. Tehama County Assistant Sheriff Phil Johnston said they believe "her slaying was the start of the rampage." CNN reports she was killed the night before the shooting, and was "concealed...under a floor in his home." He grew marijuana, according to his mother, and "was in a long-running dispute with neighbors he believed were cooking methamphetamine." He was out on bail after stabbing a neighbor in January, and had a restraining order against him from the neighbor. Neighbors repeatedly complained to the sheriff about hearing "constant gunfire" from Neal's home. The sheriff's department referred them to the homeowners' association. He "had struggled with mental illness...and at times had a violent temper," according to his sister Sheridan Orr. He was unsuccessful in entering Rancho Tehama Elementary, but shot inside the building for around six minutes. Go deeper: People who can't buy guns.